With an blade length of 3.93" the Real Steel E801 is setting new standards in everyday user value. 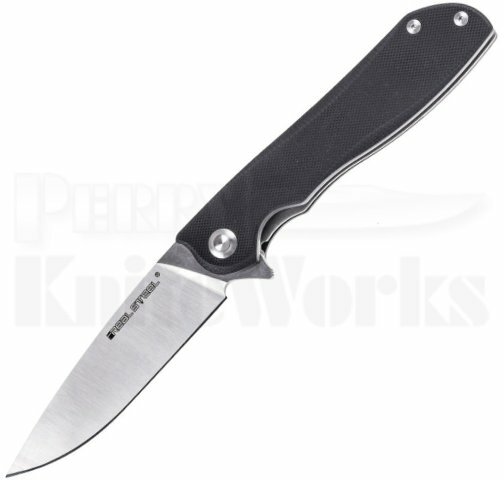 The E801 Megalodon is a Liner Lock knife, which can be secured with the innovative "101" Safety-Lock. The 14C28N steel flat ground, satin-finished blade can be opened smoothly by the flipper mechanism due to the ball bearing pivot. The ergonomically shaped handles are made of G10.